Due diligence is a crucial aspect of investment, whether it’s a matter of investing time, trust or resources into a person, a business, a brand-new product or the services that back it. As a service, it’s also a powerful tool to avoid fraud, workplace theft and other potentially harmful people or activities from having an effect on your or your business. As such, it’s easy to recognise the significance in obtaining error-free, up-to-date and practical information regarding those investments, people or assets; information that can then be applied to better understand the circumstances surrounding them and their prospective values or their associated risks. Thankfully,Precise Investigation’s professional investigators are available to do just that. We take great pride in providing some of Australia’s most effective, thorough and accurate due diligence services to businesses around the country, having already assisted more than five hundred Australian companies to successfully identify potential hazards in pending offers and threats to their ongoing success. Furthermore, through our highly dependable due diligence services, we have helped clients to recognise deserving business opportunities, and steer clear of those that may have negative impacts on growth and development, including poor recruitment choices. At a time when fraud, in both physical and cybercrime forms, has reached its highest levels in Australia since records began, it’s imperative that businesses equipped themselves to effectively identify threats and implement strategies that can help them to reduce the associated risks. Fraud can take on a multitude of forms, allowing people to feel safe in familiar environments when, in fact, those environments could simply be simulations – a counterfeit website resembling a trusted brand is a great example. Unfortunately, millions of dollars are stolen every year due to the fact that so many people aren’t aware of the dangers; nor do they feel inclined to invest time or money into gathering additional information before taking the plunge. Needless to say, this increases the chances of successful workplace theft; fake asset procurement and corporate espionage, amongst a multitude of other negative side effects. Precise Investigation’s private detectives are in place to give our clients the additional protection they need to face today’s turbulent marketplace through our accurate, detailed and highly-effective due diligence services. What is a Due Diligence Service? Technically speaking, due diligence services aren’t independent in their own right – instead, we use a combination of customised investigation services that, when working in parallel, allow our private detectives to gather a plethora of information that we then compile into concise reports for you to review. A background check, for example, would be a component of a due diligence service, as it gives employers a means to dig further into a person’s past, thereby assisting to determine the legitimacy of their education, previous work experiences and more. However, coupling background checks with a tailor-made surveillance operation allows for a two-pronged approach to confirming whether a person is as honest as they claim. A case we undertook earlier in 2015 saw a medium-sized, online publication hire an individual who then turned out to be a corporate spy, stealing design concepts, article ideas and trade secrets on behalf of a competitor. Had that company employed Precise Investigation’s due diligence services before taking him on, they would most likely have avoided the hundreds of thousands of dollars in damages they sustained after their competitors took advantage of them. We have shown, time and time again, how effective and vital due diligence services can be – in that particular case, we would have been able to show that the suspect was involved with another firm, despite what his application stated. Why Employ Our Due Diligence Services? Our due diligence services are tailored to our clients’ exact requirements and the circumstances surrounding their particular cases. 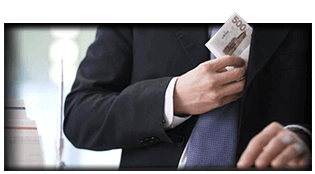 We have continually developed on the qualifications, experiences and expertise of our detectives over the last thirty years, as a means to give you, our clients, the crucial advantage you need over fraudsters, malicious parties and your competitors. Since 1987, our investigators have worked alongside Australian businesses, financial institutions and government organisations, providing them with the information they need to successfully determine whether to invest in a given person, entity or opportunity. In each case we’ve undertaken, our clients have seen tangible results that have seen them grow and improve on their market standings. We have operatives stationed across every major state in Australia, with offices in Melbourne, Sydney, Adelaide, Perth, Hobart and Brisbane giving you unparalleled access to some of the countries top investigative minds. Contact Precise Investigation today for more information regarding our tailor-made due diligence solutions, the investigators behind them and the best means to have the service applied to your particular situation.